To get the most out of your team you need to give them something extra, you need to provide extra stimulation and you need to ensure they are refreshed and relaxed. When you need results from a meeting, when you want to get your team to go above and beyond the call of duty, you should book in to the Barwon Heads Resort, where the surroundings and facilities are conducive to focused work and invigorating downtime. 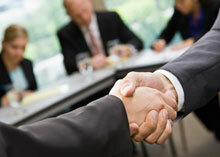 Make your next business meeting special, bring your team to Barwon Heads Resort. When you want to get the most out of a meeting you need to create something special, take people out of their routine and bring them somewhere stimulating, go from the mundane to the magnificent. 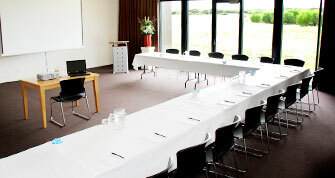 Barwon Heads Resort has the perfect business meeting venues. We have three conference rooms in our purpose built area. The conference area is separate from the resort itself, ensuring that there are no unnecessary noises or distractions. There is natural lighting, generous views of our famed golf courses and all the multimedia equipment you could need. The rooms are easily adapted for your needs, providing a full range of configurations to ensure participants get the most out of every session. We have a top class restaurant onsite and can cater for up to 220 people, ensuring that your attendees are well fed during your stay. In our main conference room you can open up the doors at the end of the day and relax on the patio overlooking the golf course while we serve up food and drinks. Our business accommodation is stylish, well appointed and comfortable, ensuring that your delegates wake refreshed each and every day. Each room has wifi and the noise in the resort is kept to a minimum after 11pm. When you need to get the most out of your team bring them to Barwon Heads Resort. Contact our friendly staff with the requirements for your next business event and we will help you plan your day or weekend.